Skiing alone isn’t much fun, whether you’re a novice or a black-run expert. Ski weeks exclusively for singles provide the perfect combination of sociable après-ski and company on the slopes. Solo specialists Friendship Travel offer shared room options help keep costs down, as well as dedicated weeks for beginners. A ski holiday can be daunting if you’re travelling solo, whether you have a non-skiing partner or are single and want to hit the slopes. 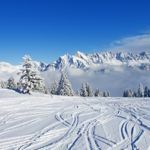 Our sociable but unforced skiing weeks in the French Alps and Austria, exclusively for those travelling on their own, are the perfect solution. You’ll be amongst like-minded people with a warm welcome and our own friendly host on hand throughout. In France, check out our two exclusive ski house parties. These are Chalet Maya in Alpe D’Huez and Chalet Refuge in Serre Chevalier. You can also choose to stay in Meribel, Val d’Isere, La Plagne or Les Deux Alpes. 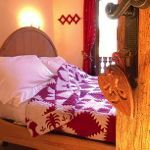 Most accommodation is in a chalet hotel with a Friendship Travel host on hand throughout. St Christoph, in Austria’s Arlberg region, is a great choice for all levels of experience. 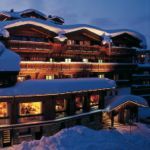 Based in a comfortable three-star chalet hotel, with a Friendship host on hand throughout, you can ski in and ski out – a huge bonus. To keep prices keen on our ski holidays, we offer a choice of a double or twin room (with single rooms in some hotels) for sole occupancy or a cheaper twin-share option. It’s up to you. Flights and transfers are included in the price – we offer a wide range of regional flights, all with civilised daytime departures. We are an independent singles specialist, established for 18 years, with a tried and tested range of laid-back and relaxed holidays exclusively for the solo traveller. We have won a British Travel Award in the singles holiday category every year for the past five years. Each holiday is accompanied by a friendly, professional host. We don’t have age-specific departures but the ages are generally between 35 and 65 years (the minimum is 25 years with no upper limit). Established in 1999, Friendship Travel is a bonded company with an ATOL licence offering full financial protection. Find out more about our skiing and snowboarding holidays and holiday concepts.